Iran’s Minister of Economy Ali Tayyebnia said today Tehran was satisfied with the “promising trends” in nuclear talks with the West. Tayyebnia's sentiment echoed Foreign Minister Javad Zarif’s assessment after his talks with EU’s foreign policy chief Catherine Ashton last week that the West now has the “political will” to reach a comprehensive deal with Iran. 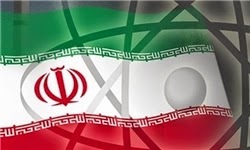 After the failure to make progress in talks with P5+1 in mid-May, and the subsequent inconclusive report by IAEA on the so-called possible military dimensions to Iran’s nuclear program, the comments by senior Iranian officials seem to be aimed at reassuring a somewhat skeptical public at home that the West is serious about ending the nuclear impasse with Iran. The last round of talks in Vienna that ended on 17 May failed to start the much-anticipated drafting process of the final agreement; in what Iranian senior negotiator Abbas Araqchi called a meeting that made “no progress.” Later a report published by IAEA left the question of previous Iranian nuclear weapons work still unanswered. Iran and IAEA had agreed last November to end all ambiguities about the development of Exploding Bridge Wire (EBW) detonators that are used to initiate detonation reaction in explosive materials and commonly used in nuclear weapons. IAEA and Iranians held a technical-level meeting on 13 May to give Iran an opportunity to show that any previous EBW work were not part of a nuclear weapon program. The subsequent report published by the agency said the analysis of information provided by the Iranians was on-going. The same IAEA report said, however, that Iran was on track to fully comply with its commitments under the Joint Plan of Action (JPOA) by 20 July deadline. If IAEA could not certify by July deadline that Iran’s work on EBW detonators were not related to nuclear weapons, however, then reaching a final agreement before the deadline could become problematic. Scott Peterson, The Christian Science Monitor’s staff writer, photographer for Getty Images, and the author of “Swords Encircle Me: Iran – A Journey Behind the Headlines,” on Friday filed a report from Tehran on the country’s growing military involvement in Syria. Following are some excerpts form Peterson’s report. To read the full report, please click here. Brig. Gen. Hossein Salami told Mehr News that Syrian government lead on battlefields had made possible holding presidential elections and would indicate that terrorists were in decline in terms of sweep. Asked for his evaluation of Syrian developments, Salami said that the Syrian government was able to loom large in battlefields and the balance of power is heavy for the Syrian government’s side. “This victory in battle fields was the reason of launching the elections in Syria and in a political process which shows the terrorists and their supporters in decline of power and hopefully the decline would continue,” said Salami. IRGC Deputy Commander Brig. Gen. Salami's comments offer an indirect form of Iranian corroboration for data studied by NATO, which last year reported figures of up to 70 percent support for the Syrian government. This level of support can only have been strengthened by recent successes on the battlefield. Expat voting in foreign locations indicate the potential for a relatively high turnout when voting subsequently takes place in government-held territory within Syria. In ways, this may somewhat mirror the American presidential election of 1864, which was also conducted during a civil war. In this historical example, polling centers were likewise provided in government supported territory, and where also government success on the battlefield translated into electoral success for the incumbent president, Abraham Lincoln. 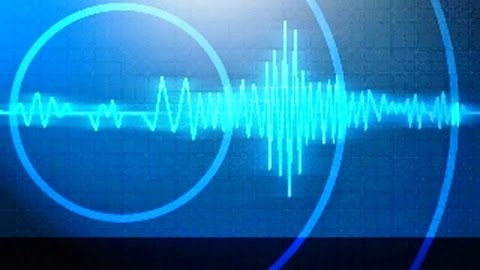 A 5.1 magnitude earthquake shook Iran’s Qeshm Island in the Strait of Hormuz on Tuesday at 10 am (0430 GMT), the U.S. Geological Survey reported. The tremor was felt as far away as Dubai. The epicenter was 66 kilometers (41 miles) south of the island. 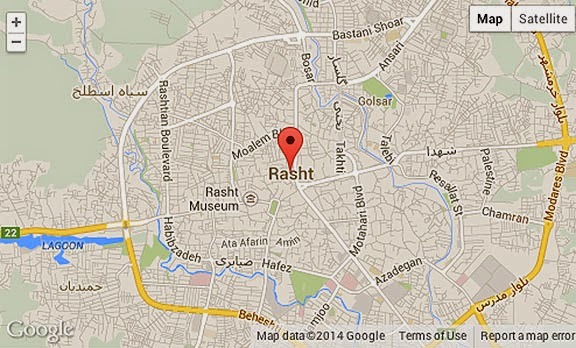 IRNA, the Iranian official news agency, later reported the quake’s magnitude slightly higher at 5.2 and said there were no reports of casualties. Abdullah Eskandari, an IRGC Brigadier General, was killed in Syria on Saturday. Circumstances of his death are not clear, but an armed Syrian opposition group reportedly captured and later killed Eskandari. A website close to the Syrian opposition has published a photo of decapitated head of the late General Eskandari. 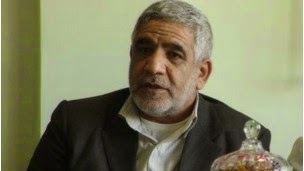 Eskandari was former director of Bonyad Shahid (Martyr Foundation) in Fars province, and former commander of Kerman division of IRGC Ground Force. At the time of his capture, he was posted in Damascus. 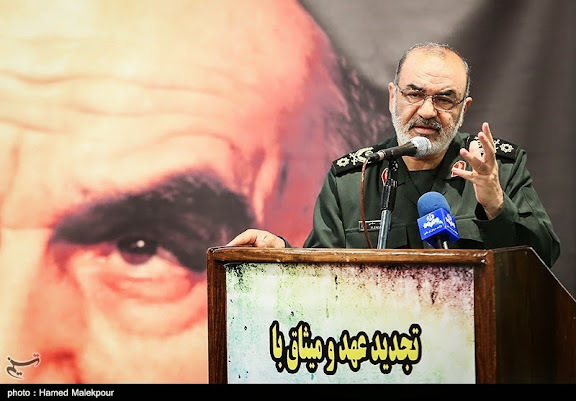 Earlier this month, Eskandari was quoted in the Iranian press as saying that IRGC had many brigades fighting in Syria. Since the involvement of the Quds Force and IRGC Ground Forces in the Syrian conflict, funeral and memorial services for some 60 fallen IRGC officers, including some general officers, have been reported by Iranian press. The Syrian opposition has lately been reporting a growing presence of QF and IRGC-GF in the country, as trainers and combatants supporting the operations of the Syrian Army, the Hezbollah and other militant Shia groups against the opposition, including armed Sunni militants. 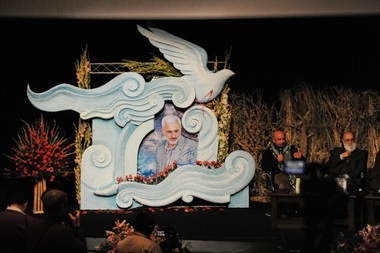 Photo: IRGC Brig. Gen. Abdullah Eskandari, reportedly captured and killed by Syrian militants. The undated photo was published in websites close to the Syrian opposition. Iranian Foreign Minister Javad Zarif said today progress has been made in his talks with EU foreign policy chief Catherine Ashton. He added that the West has “political will” to reach comprehensive agreement with Iran. Zarif made the comments after two days of meetings with Ashton in Istanbul. 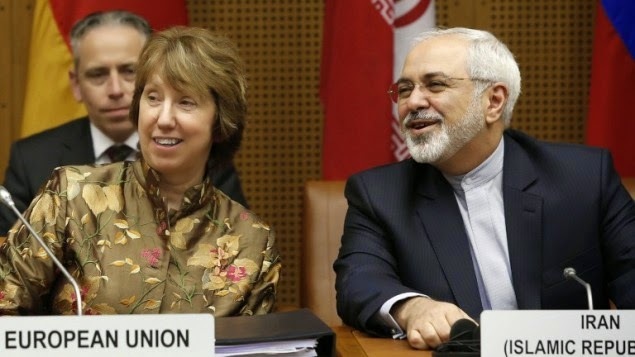 “We have made progress; we exchanged views during lengthy discussions that we have had in the last two days in Istanbul with Catherine Ashton,” said Zarif. “It’s a matter of time, but also political will must be expressed to reach an agreement. 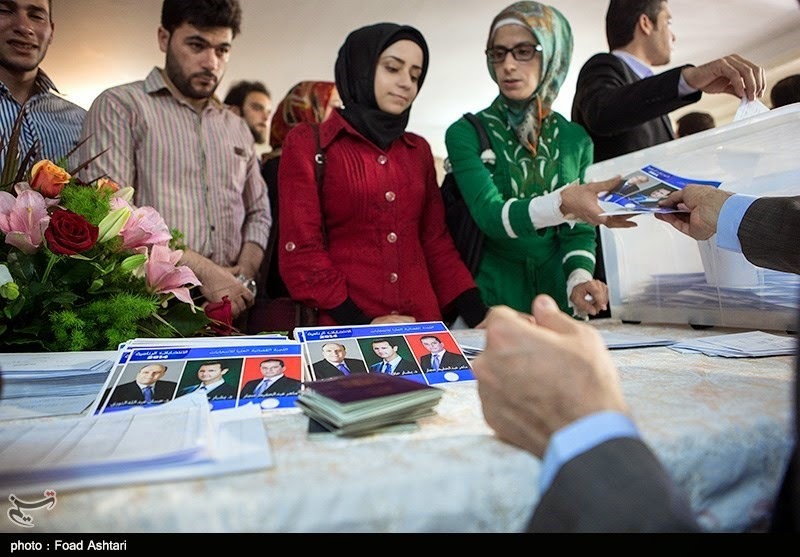 I can assure you the other party has the political will to reach an agreement,” Zarif said. 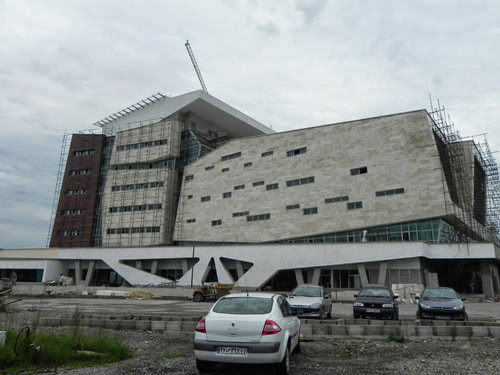 Another active, ambitious construction project in the latter stages of development: Pars General Hospital in the Goslar district of Rasht. 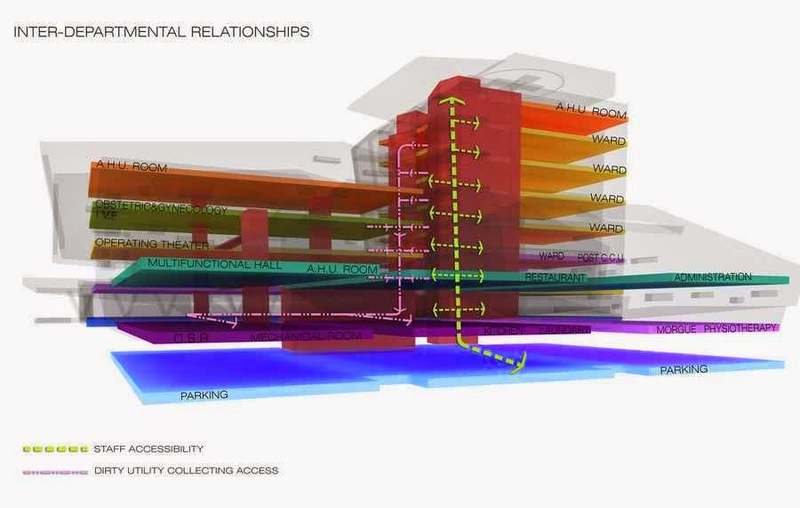 Developed site encompasses 17,400 sqm, with a structure gross floor area of 23,000 sqm. A number of Iranian woman architects and architectural design associates worked on the project.. 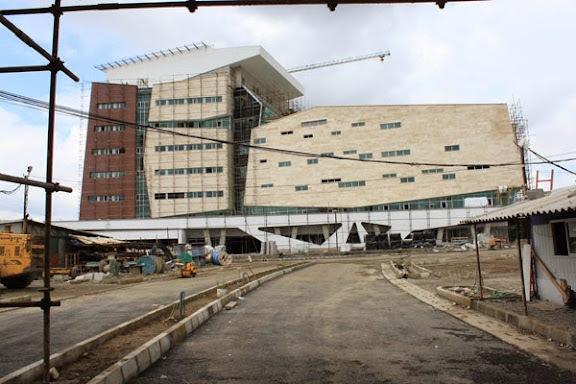 Architecture comprises white travertine stone and glass as the main material, applied in combination of wooden texture panels on the exterior walls. Above photo depicts initiation of the site's landscaping. Schematic rendering of Pars General Hospital in Rasht. Various departments include laboratories, accident and emergency (A&E),a cute care services, obstetrics and gynecology theater, IVF, ICU, CCU, specialized clinics, pediatric & E.N.T wards, operating theater, Helipad and more. The Islamic Revolution Guards Corps (IRGC) confirmed that one of its Antonov planes caught fire in time of landing in Iran’s Central city of Yazd. The statement further blame[d] technical failure for the incident... rescue teams rushed to the scene and were able to extinguish the fire... none of the plane crew were hurt in the incident. - Likely location: Yazd-Shahid Ayatollah Sadooghi Airport (AZD / OIYY). - Aircraft likely belonging to IRGC-AF Transport squadron from Qadr Air Base (Tehran-Mehrabad TAB 1). 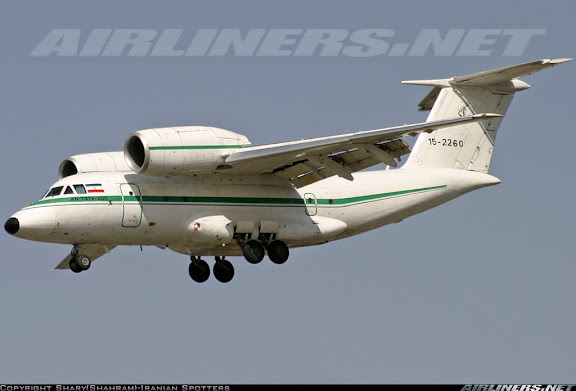 Previously on 27NOV06 at Tehran-Mehrabad (TAB 1), IRGC-AF lost an An-74T-200 (Reg 15-2255) to a crash during takeoff with 37 killed (31 passengers and 6 crew). 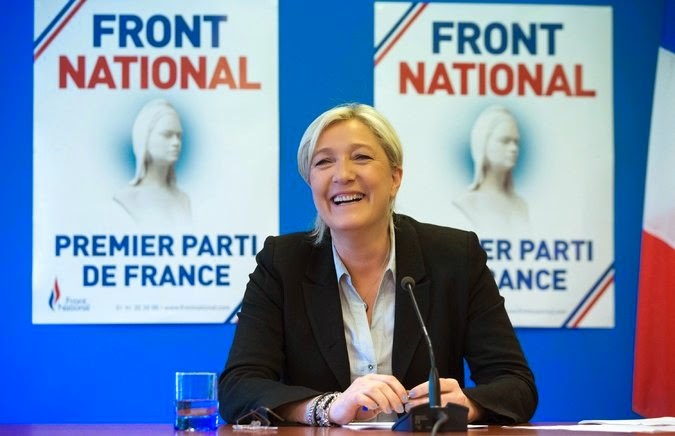 The far-right scored a major victory in France and throughout Europe in the elections for the European Parliament. European presidents and prime ministers met in Brussels on Tuesday to assess the fallout from the election, in which centrist political parties lost ground to fringe groups in country after country. In France, 31 percent of voters surveyed by Harris Interactive cited immigration, the rallying point for the far right across the Continent, as their central concern. But nearly as many cited declining purchasing power, the crisis in the euro zone or rising unemployment.